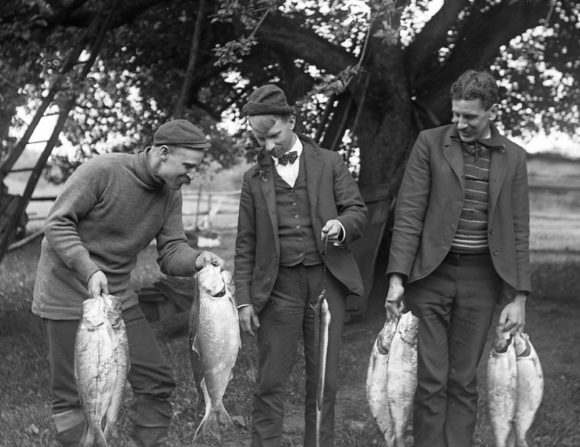 Shad Fisherman Admiring Their Catch, early 20th century photograph, Connecticut River Museum collection. ESSEX — The return of the shad signals spring in the Connecticut River Valley and the Connecticut River Museum is ready – hosting a new temporary exhibit that honors Connecticut’s Founding Fish. Why is this bony fish so special to the River Valley? It has been an important food source for inhabitants along the River, starting with Native Americans and continuing throughout history. Ingenious methods of capturing the fish have been created over the years – from weirs and fish pounds, to specialized netting techniques done in the dead of night – shadding developed its own kind of folk culture. Once caught, the fish had to be expertly boned before being sold locally in fish markets or shad shacks. American Shad, wood carving by Timothy Eastland, Connecticut River Museum collection. A ritual of spring, many communities organized a shad bake before the season ended; a large communal dinner of planked shad baked before an open fire. Other communities, such as Windsor, Connecticut, developed a fishing derby around the shad season, enticing sportsmen to compete for cash and prizes. The exhibit, Connecticut’s Founding Fish examines the material and folk culture surrounding the return of the shad to the Connecticut River. Using paintings, prints, maps, tools, ceremonial objects and photographs, the exhibit will explore the natural and cultural history of shad in our region. In addition to the exhibit, the Connecticut River Museum will be offering programs related to shad. On March 30, at 5:30 pm Steve Gephard will present a lecture, Shad of the CT River at the Museum. Also, on June 3, the Museum will partner with the Rotary Club of Essex on the Essex Annual Shad Bake held at the Museum. The exhibition is on view through July 31, 2017. The Connecticut River Museum is the only museum dedicated to the study, preservation and celebration of the cultural and natural heritage of the Connecticut River and its Valley. The Connecticut River Museum is located at 67 Main Street, Essex and is open Tuesday – Sunday from 10:00 am – 5:00 pm. For more information on the exhibit and related programs please contact the Connecticut River Museum at 860.767.8269 or visit the website, ctrivermuseum.org. 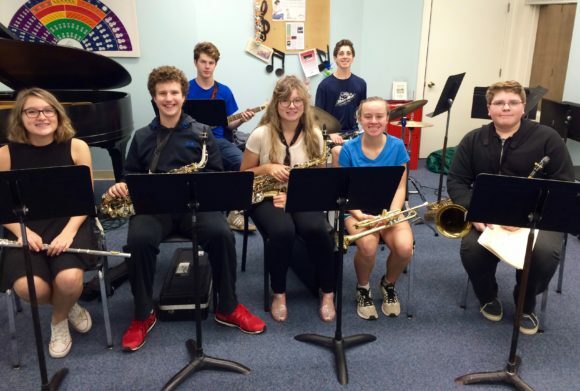 Community Music School’s Jazz Ensemble is a popular band at the school. CENTERBROOK – Community Music School (CMS), located in the Spencer’s Corner professional complex at 90 Main St. in Centerbrook, welcomes the general public to visit during Open House Week Jan. 30 to Feb. 3. Children and adults can tour the School’s studios, meet teachers and staff, enjoy a free preview lesson, and learn about a vast array of programs for all ages including private and group lessons, guitar, jazz and string ensembles, music therapy services, Kindermusik, and more. Community Music School is open from 9 a.m. to 7 p.m., Monday to Thursday, and 9 a.m. to 5 p.m. on Fridays. Those interested in a 15-minute preview lesson are requested to call 860-767-0026 for scheduling. Community Music School offers innovative music programming for infants through adults, building on a 30-year-tradition of providing quality music instruction to residents of shoreline communities. The School’s programs cultivate musical ability and creativity, and provide students with a thorough understanding of music so that they can enjoy playing and listening for their entire lives. For additional information, visit www.community-music-school.org or call 860-767-0026. DEEP RIVER — The Valley Stands Up will host an emergency vigil outside Deep River Town Hall at 4:30 pm today (1/29/17) to show solidarity with protests across the nation in response to the refugee and immigration ban. At 3pm, the group will hold a public meeting at the Deep River Public Library to discuss further actions. “You are welcome here” yard signs will be available for purchase. 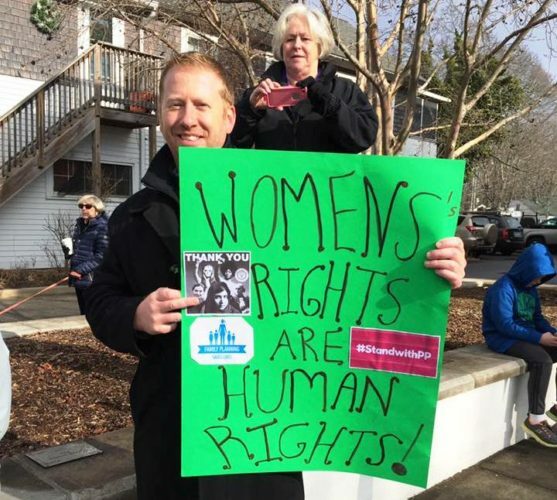 The Valley Stands Up is an independent civic group created to unite our diverse communities in the Lower Connecticut River Valley area through outreach, organizing, and advocacy to support the dignity and human rights of all. 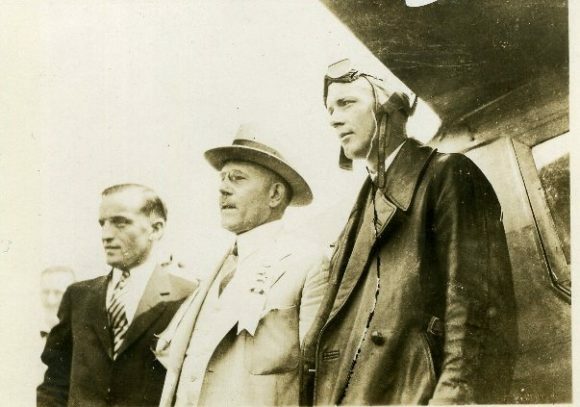 “Pilot Charles Lindbergh lands at Doane’s Airfield, Essex, c. 1930.” Photo courtesy of Essex Historical Society. ESSEX – Explore Connecticut’s early transportation history in “Planes, Trains & Automobiles,” a lecture series presented by Essex Historical Society and Essex Meadows, Sundays, Jan. 15, 22 and 29, at 3 p.m. Each illustrated talk will feature in-depth discussion of our state’s modes, methods and mechanics of travel, often making transportation history on a national scale. All lectures are held at Essex Meadows, 30 Bokum Road, at 3 p.m. on those Sundays. The programs are free and open to the public. “Mrs. 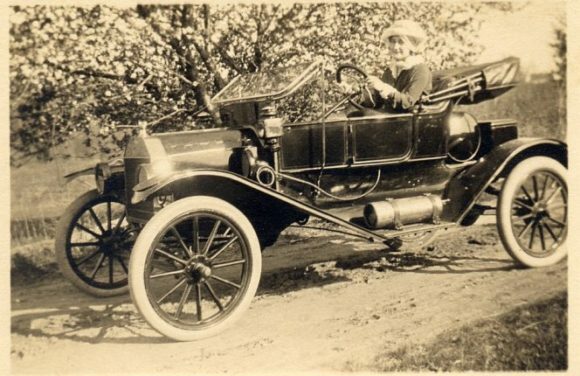 Ernest Bailey takes the wheel, Essex, c. 1910.” Photo courtesy of Essex Historical Society. The series concludes on Sunday, Jan. 29 at 3 p.m., as Jerry Roberts will address “Connecticut’s Early Aviation History.” Mr. Roberts’s illustrated talk will feature the state’s early connections to pioneering aircraft, notable aviators and significant aviation production. While the talk has a statewide focus, it will address local aviation history, such as the production of WWII gliders at the Pratt-Read factory in Ivoryton. 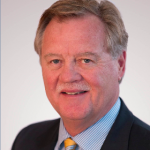 As present Executive Director of the New England Air Museum in Windsor Locks, Mr. Roberts is familiar to many as the former Executive Director of the Connecticut River Museum. Co-sponsored by Essex Historical Society and Essex Meadows, the winter lecture series is playfully titled “Planes, Trains and Automobiles: CT’s Early Transportation History.” All lectures are held in beautiful Hamilton Hall, Essex Meadows, 30 Bokum Road, Essex. Free and open to the public. Refreshments. More information can be found at www.essexhistory.org or by calling Essex Historical Society, 860-767-0681. 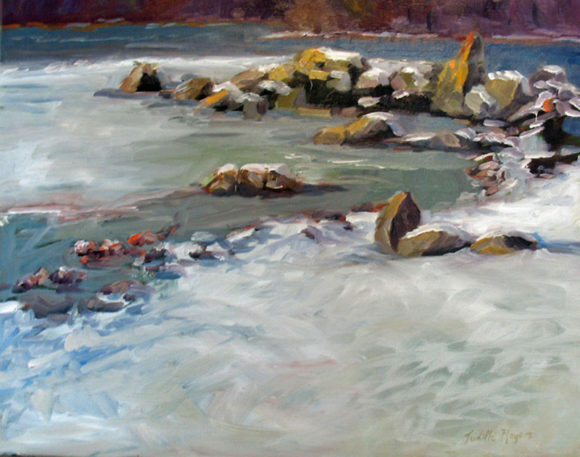 ‘Sentinels’ is one of the signature paintings of the 25th Annual Associated Artist Show on view at the Lyme Art Association. The opening reception for two exhibitions at the Lyme Art Association (LAA) will be held this afternoon, Sunday, Jan. 29, from 2 p.m. to 4 p.m. at the LAA, 90 Lyme Street, Old Lyme, Conn. All are welcome and admission is free. The 25th Annual Associate Artist Show and Sale of landscape, portrait, and still life paintings, as well as sculpture by Associate Artist members is currently on view in the Association’s front galleries, and runs through March 10. Pulled and Pressed, which showcases hand-pulled prints by LAA members of all levels and members of Stonington Printmakers Society as invited guests, is on display in the Goodman gallery, and also runs through March 10. “The Annual Associate Artist Show and Sale highlights the range, creativity, and excellence of our Associate Artist members. This exhibition includes a variety of subjects, media, and styles: paintings or sculptures that capture the range of human emotion, the beauty and grandeur of the Connecticut landscape, or the personal objects and surroundings of everyday life,” states Jocelyn Zallinger, LAA’s Gallery Manager. The juror of selection and prizes is Patricia Shippee of Old Lyme. Shippee is an accredited senior member of the American Society of Appraisers. Her expertise has been acquired through her corporate business experience, her studies in art history, and as a collector, gallery owner, curator. “The Pulled and Pressed show in the Goodman Gallery celebrates the beauty of original contemporary representational hand-made prints.” Juror Helen Cantrell, an Old Lyme resident, is a painter and printmaker, an artist member of Boston Printmakers, the Center for Contemporary Printmaking in Norwalk, and the Silvermine Guild of Artists in New Canaan. The LAA was founded in 1914 by the American Impressionists and continues the tradition of exhibiting and selling representational artwork by its members and invited artists, as well as offering art instruction and lectures to the community. The LAA is located at 90 Lyme Street, Old Lyme, CT, in a building designed by Charles Adams Platt and located within an historic district. Admission is free with contributions appreciated. Gallery hours are Wednesday through Sunday, 10am to 5pm, or by appointment. For more information on exhibitions, purchase of art, art classes, or becoming a member, call860-434-7802 or visit www.lymeartassociation.org. 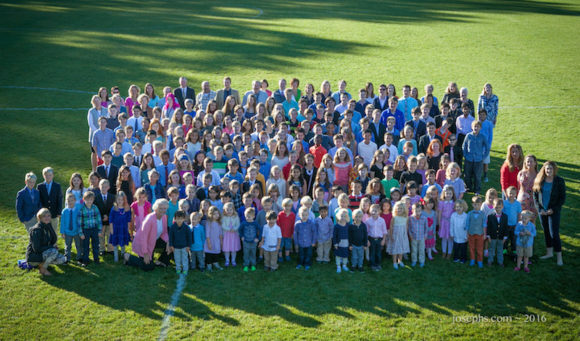 A new academic year all-school photo of The Country School taken in September 2016 on the school’s new athletic fields. Photo by Joseph’s Photography, Inc.
MADISON, CT – In honor of The Country School’s 60th Anniversary, the school’s Board of Trustees is providing a $10,000 merit scholarship to a student applying for admission to Grades 4-8 for the fall of 2017. Additional scholarships will be offered to students entering those grades based on applicants’ qualifications and/or need. This will be the third 60th Anniversary Merit Scholarship awarded in celebration of The Country School’s founding six decades ago. An 8th Grader from Lyme won the first 60th Anniversary Scholarship, while a 4th Grader from Madison was the second recipient. In addition, other students received partial scholarships after applying for the merit scholarship. Head of School John Fixx will share information about the 60th Anniversary Scholarship program on Sunday, Jan. 29, at 12:30 p.m. in conjunction with the school’s Winter Open House (taking place from 1 to 3:30 p.m.). While students sit for the Merit Scholarship test, parents will have the opportunity to tour campus and speak directly with faculty members, current parents, and administrators. To learn more and register, go to http://www.thecountryschool.org/scholarship. The recipient of the $10,000 Merit Scholarship will be selected on the basis of academic merit and personal promise as demonstrated by merit scholarship testing, school records, and an interview. Finalists will be asked to write an essay describing how a Country School education might benefit them and will be invited to spend a day on campus. The scholarship recipient will be notified in early March. On Jan. 29, visitors will learn about the academic program and the wide academic, artistic, athletic, and leadership opportunities on campus. They will also learn about The Country School’s six-decade history of preparing graduates for the strongest independent secondary schools and high school honors programs in the area. Families will receive the impressive list of where Country School graduates attend college and hear how the Secondary School Placement Office assists families in attracting similar scholarship support for secondary school. Founded in 1955, The Country School is a coeducational, independent day school serving 200 students in PreSchool through Grade on its 23-acre campus in Madison. In celebration of the school’s 60th anniversary, the campus has been undergoing a major transformation, with the installation of new athletic fields, tennis courts, and playground areas completed last year and a reconfiguration of campus infrastructure and outdoor common spaces taking place this year. For more information, contact Pam Glasser, Director of Admission and Curriculum, at 203-421-3113, extension 122, or pam.glasser@thecountryschool.org. You may also learn more at www.thecountryschool.org. AREAWIDE — Literacy Volunteers Valley Shore (LVVS), CT, Inc. is a private non-profit organization. Its mission is to train tutors to help residents of the Valley Shore area who wish to improve their reading, writing or speaking English to improve their life and work skills. This one-to-one instruction is held confidential and is completely without charge to the student. Tutor training is a 14-hour program conducted over seven sessions held each spring and again in the fall of every year. The next training session begins March 23 and runs through May 9. Literacy Volunteers Workshop Leaders have developed a comprehensive program that provides prospective tutors the skills and resources to help them succeed. A background in education is not necessary – just a desire to tutor and a commitment to helping a student improve their skill in basic literacy or English as a Second Language over the period of one year after the completion of training. If you are interested in becoming a tutor, contact the LVVS office in the basement of Westbrook’s Public Library by phone at (860) 399-0280 or by e-mail at jferrara@vsliteracy.org . Literacy Volunteers are registering for the spring session now and the deadline for applications is March 2, but only a few more slots are available. The Visiting Nurses of the Lower Valley present a meaningful and effective conversation about end-of-life care at the Deep River Public Library on Monday, March 27 at 6 pm. Research shows that 40 percent of people will not be able to make healthcare decisions. Conversations about values and wishes for care can be beneficial for the entire family by eliminating additional stress or dealing with complex treatment issues. If you wish to join the conversation, call the library to register for your spot today. These programs are free and open to all. Registration is required and limited to 15 participants. For more information, visit http://deepriverlibrary.accountsupport.com and click on the monthly calendar, or call the library at 860-526-6039 during service hours: Monday 1 – 8pm; Tuesday 10 am – 6 pm; Wednesday 12:30 – 8 pm; Thursday and Friday 10 am – 6 pm; and Saturday 10 am – 5 pm. AREAWIDE — On Thursday, Jan. 5, 2017, the Region 4 Board of Education approved a report from the accounting firm of Mahoney and Sabol that reflects a surplus of $157,046 from the 2015-2016 academic year. “This audit is a great endorsement of our continued focus on meeting the needs of our students while keeping a very close eye on the bottom line …” said Chris Riley, Region 4 Board of Education Chairman. From left to right, the Gowrie Group team of Whitney Peterson, Lindas Dillon, and Carter Gowrie present the donation check to Patty Dowling and Claire Bellerjeau of The Shoreline Soup Kitchens & Pantries. AREAWIDE — The 2016 Gowrie Group Challenge raised more funds for The Shoreline Soup Kitchens & Pantries (SSKP) than ever before – a record breaking $172,919! The Gowrie Group Challenge is an annual fundraising initiative where Gowrie Group announces a dollar for dollar match to benefit The SSKP. This approach doubles the impact of generous donations from local businesses and individuals. This year, over 400 individuals and companies donated to the challenge which ran two months, from Nov. 15, 2016 to Jan. 15, 2017. The contributions from this campaign are used to fill the shelves of the SSKP’s five pantries and serve meals to those who are struggling to feed themselves and their families at the SSKP’s eight meal sites along the Connecticut shoreline. Since Gowrie Group began this challenge 13 years ago, over 4 million meals in total have been provided for those in need through the Gowrie Group Challenge. Gowrie Group kicked off this year’s challenge with their largest gift to date – a $30,000 dollar for dollar matching donation to the SSKP. Five companies stepped forward as Partner Sponsors to provide additional matching funds: The Safety Zone, LC Doane Company, Tower Labs, Lenny & Joe’s Fish Tale, and BrandTech Scientific. Spreading the word about joining this effort is vital. 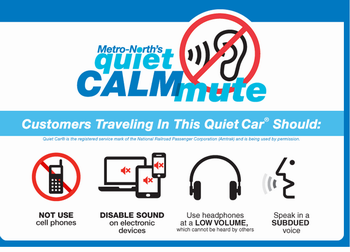 Morning radio personality, Bob Muscatel of WLIS/WMRD, once again generously updated the community throughout the Challenge from his radio station. In addition, Shore Publishing provided a series of print advertisements in local papers across the shoreline. Gowrie Group was thankful to be the recipient of proceeds from two exciting events. The “Black Friday Benefit Concert” at The Kate held in November raised $4,767 and the ballet performance of “Ahavah: The Story of Christmas” performed by the Ekklesia Contemporary Ballet and Christian Academy of Dance raised $6,500. Both event proceeds were matched by the Gowrie Group Challenge. Many Gowrie Group employees not only donate money to the challenge each year, but also donate time and services to soup kitchens across New England year round. Gowrie Group employees host and serve a lunch at the SSKP’s Old Saybrook meal-site each summer. Additionally, employees work together to host Food-Drives every holiday season at many of Gowrie Group’s other locations including Westbrook CT, Darien CT, Newport RI, Marshfield MA, and Manchester NH. 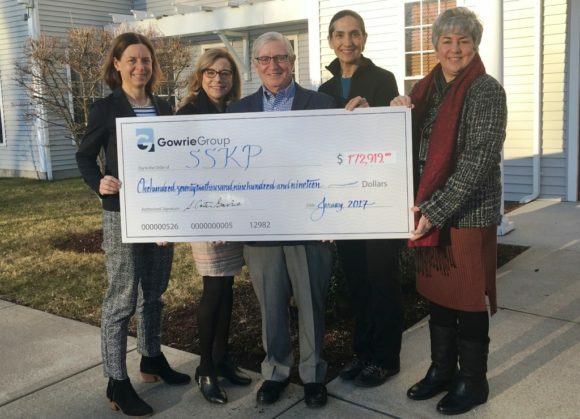 Gowrie Group and the SSKP are proud of all that they have accomplished in the past 13 years of partnership, and look forward to continuing the annual Gowrie Group Challenges in future years. Editor’s Notes: i) As one of the nation’s Top-50 independent insurance agencies, Gowrie Group provides total risk management services to individuals and organizations with complex insurance needs. Gowrie Group offers comprehensive insurance solutions matched with trusted advice and a commitment to service excellence. Gowrie Group’s portfolio of offerings includes commercial, home/auto, equine, and yacht insurance, as well as employee benefits solutions and safety services. The company’s 175+ professionals service clients across the US from offices in Westbrook CT, Darien CT, Newport RI, North Kingstown RI, Annapolis MD, Boston MA, and Marshfield, MA. www.gowrie.com or 800.262.8911.
iii) 2016 Gowrie Challenge partners and media sponsors were The Safety Zone, LC Doane Company, Tower Labs, Lenny & Joe’s Fish Tale, and BrandTech Scientific. Media Sponsors: Shore Publishing and WLIS/WMRD. On a recent snowy day and under an early morning sun, an Amtrak train travels along the Connecticut shoreline through Rocky Neck State Park. AREAWIDE — We published an editorial on Jan. 6 regarding the high speed train issue in which we asked, “But what has happened here in our own backyard in terms of specific actions to express concern to the FRA regarding the Preferred Route?” Well, it’s now Jan. 17 and just 11 days later, the answer is clear — a great deal! 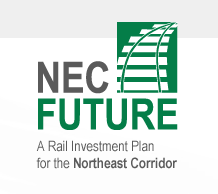 First and most importantly, the Federal Railroad Administration (FRA) has announced it will be holding one last public meeting in New England before the Record of Decision. Billed as the Springfield, Mass., Open House, it will be held Wednesday, Jan. 25, from 4 to 7 p.m. at the Pioneer Valley Planning Commission, 60 Congress St., Springfield, MA. 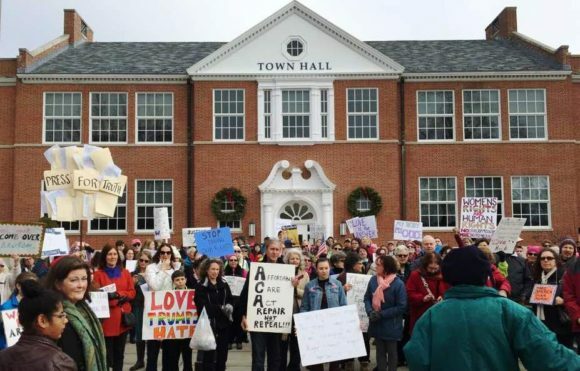 This, as its name suggests, is an opportunity for the public to ask questions freely — as in any normal public forum — but significantly Old Lyme and, in fact, the whole of Southeast Connecticut have not previously been given that opportunity. 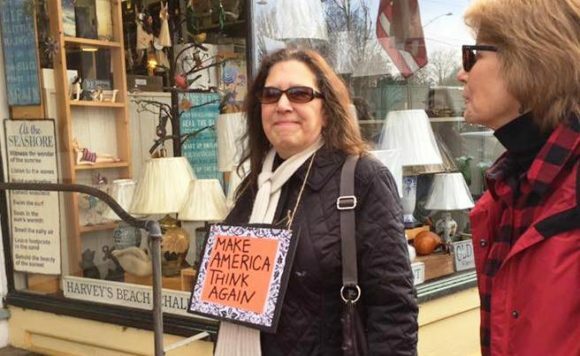 Take your mind back to Aug. 31 when the FRA finally held a “public” meeting in Old Lyme — yes, it was public in that over 500 people attended but was any member of the public allowed to ask a single question? No. It is therefore significant that this opportunity is being presented — but in Springfield, Mass.? 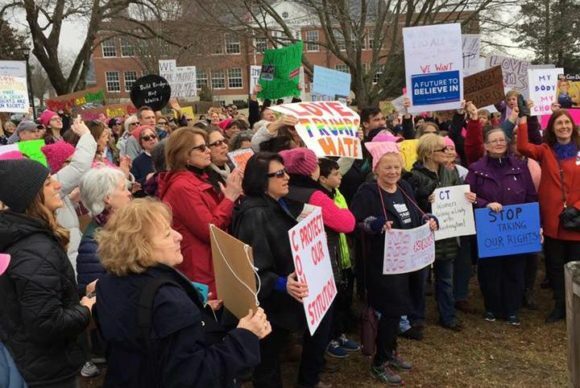 The intention is clear — people from this area of Connecticut are not expected to attend. SECoast.org and the CT Trust are encouraging as many folk as possible to make the trek up to Springfield on the 25th so we can meet the FRA face-to-face, ask our questions, and expect answers. We heartily support that call and urge as many readers as possible to attend. We hear there is a possibility a bus may be chartered to go to Springfield — we’ll keep you posted on that. Jan. 25th is going to be a busy day! Community Connections, the grass-roots group that provides local organizations a network to explore collaboration opportunities for enhancement of our Lyme-Old Lyme community, is hosting a luncheon at the Old Lyme Country Club at which the topic under discussion will be ‘High Speed Rail in Old Lyme.’ The invitation explains the topic further as , “How the Federal Railroad Administration’s controversial new plan could impact your organization and what you can do to advocate and prepare.” LymeLine.com is a member of Community Connections. 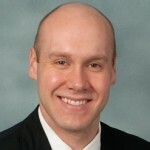 Gregory Stroud, Executive Director of SECoast.org will be the speaker. Stroud will provide background information on the FRA’s rail project, an update on the activities of SECoast, and take questions. This should be an informative pre-cursor to the Springfield event. All are welcome at the luncheon — there is no requirement to be a representative of a non-profit group — RSVP to attend ($25 per person) here. As we’ve stated previously, writing to the FRA is still vitally important — see our previous article on suggested text. 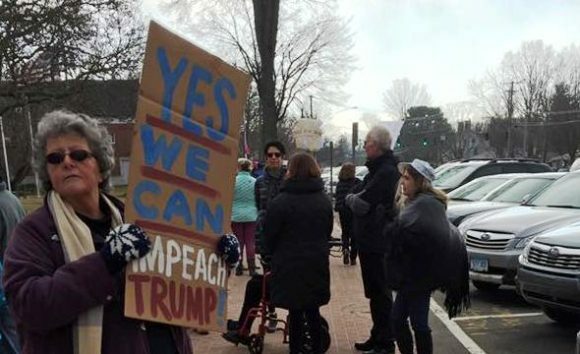 The Old Lyme Town Hall also has suggested text at this link and the offer of a pre-addressed postcard if you stop by the Town Hall. In other news, Senator Blumenthal raised the bypass as an issue in confirmation hearings for Transportation Secretary nominee Elaine Chao. With thanks to SECoast.org, view video of the confirmation hearing here. Plan to Speed Up Amtrak’s Northeast Route Faces Opposition in Small Towns by Joseph De Avila published Jan. 16 in The Wall Street Journal. 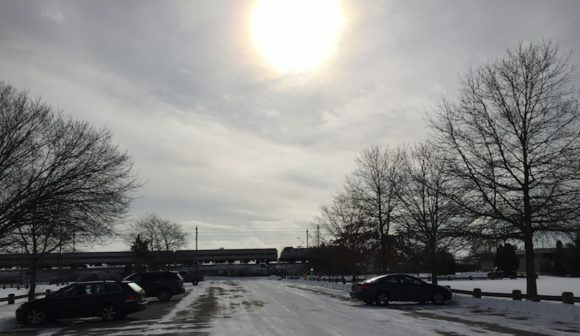 Region officials bring rail bypass concerns to Washington by Kimberly Drelich published Jan. 12 in the New London Day. In this article, Drelich reported on a trip made Jan. 11 by local officials to Washington DC, saying, “Old Lyme First Selectwoman Bonnie Reemsnyder and Lower Connecticut River Valley Council of Governments Executive Director Samuel Gold visited the offices of U.S. Rep. Joe Courtney, D-2nd District, U.S. Rep. Jim Himes, D-4th District, and U.S. Sens. Richard Blumenthal and Chris Murphy, D-Conn., to ask for support in gaining an audience with the incoming transportation secretary or administrator of the Federal Railroad Administration.” It was encouraging to read this news. Drelich also noted, “Sens. Blumenthal and Murphy and U.S. Reps. John Larson, D-1st District, Courtney, Himes and Elizabeth Esty, D-5th District, wrote a letter to the FRA dated Jan. 12 that requests a four-week extension.” Again, very positive news. Hundreds turn out in opposition of proposed Charlestown railroad bypass by Catherine Hewitt published Jan. 11 in The Westerly Sun. Outcry over Northeast Corridor line: ‘We’ve been railroaded’ by Donita Naylor published Jan. 11 in the Providence Journal. Town residents oppose plan to realign Northeast train tracks by Associated Press published Jan. 11 in (the UK!) Daily Mail. Rail overhaul plan is both a winner and a loser in CT by Ana Radelat published Jan. 9 in The CT Mirror. Watch an interview titled, ‘Stop the ByPass,’ by the Green Party’s Tim Hanser with Greg Stroud of SECoast and the CT Trust at this link. Bopha Smith was awarded an Honorable Mention in the Landscape category of the 2016 Contest. AREAWIDE — Five local land trusts invite amateur photographers of all ages to enter their favorite photographs of scenes in the towns of Essex, East Haddam, Salem, Lyme and Old Lyme in the Land Trusts Photo Contest. Children are especially encouraged to submit photos. Participants need not live in the towns of Lyme, Old Lyme, Essex, Salem, and East Haddam, but photos must be of scenes in one of these five towns. 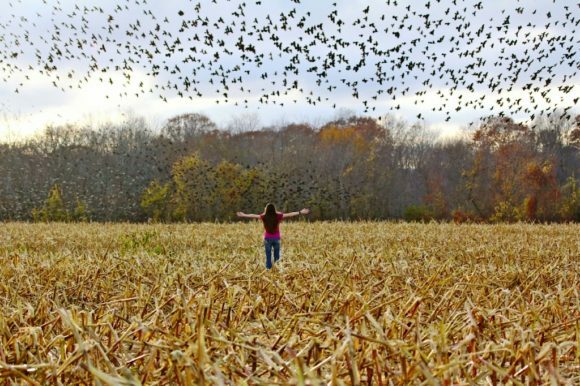 Land Trusts in these towns sponsor this photo contest. Submissions will be accepted from the Jan. 1, 2017 to Jan. 31, 2017. Contest rules are available online at lymelandtrust.org. The link is http://www.lymelandtrust.org/news/photo-contest/. Entry forms for the contest are available at photocontest2017@lymelandtrust.org. Contest awards are being funded with the generous support of our commercial sponsors: RiverQuest /Connecticut River Expeditions, Ballek’s Garden Center in East Haddam, Essex Savings Bank, Evan Griswold at Coldwell Banker, Lorensen Auto Group, the Oakley Wing Group at Morgan Stanley, and Alison Mitchell in memory of her husband John G. Mitchell. John G. Mitchell was a life-long environmentalist and former photo contest judge. A three-judge panel will select the winning photos. 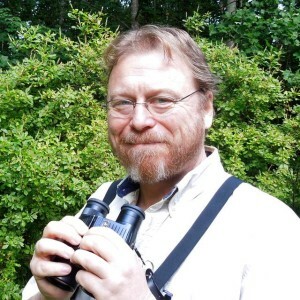 New as a contest judge this year is Joe Standart, an award-winning photographer, director and internationally known artist who loves photographing the natural world. Returning judges include Amy Kurtz Lansing, an accomplished art historian and curator at the Florence Griswold Museum; and Skip Broom, a respected award-winning local photographer and antique house restoration housewright. $100, $75, $50 and $25 cash prizes will be awarded in each of five categories. The categories are Landscape/Waterscape, Plants, Wildlife, and Cultural/Historic (human interaction with nature, including domestic animals and buildings), for participants 15 years of age or older. Photographers 14 years old or younger may enter photos on any of these subjects in the Youth Category. All entered photographs will be displayed and winners will be announced at a public reception Friday, March 10, 2017. AREAWIDE — Applications are now being accepted for the Virginia R. Rollefson Environmental Leadership Scholarship, a $1,000 award to recognize a high school student who has demonstrated leadership and initiative in promoting conservation, preservation, restoration, or environmental education. Students residing in Middlesex County, Lyme or Old Lyme are eligible to apply. The scholarship is presented by the Rockfall Foundation and applications must be submitted by noon on Wednesday, Feb. 1. For a copy of the application or for more information, visit www.rockfallfoundation.org or call 860-347-0340. The Rockfall Foundation supports environmental education, conservation programs and planning initiatives in the Lower Connecticut River Valley. Established in 1935, it is one of Connecticut’s oldest environmental organizations whose mission is to be a catalyst– bringing people together and supporting organizations to conserve and enhance the county’s natural environment. Rockfall awards grants each year to organizations, schools and municipalities, and sponsors educational programs and symposia. AREAWIDE — Madhatters Theatre Company is now accepting registrations for their summer productions at Chester Meeting House 4 Liberty Street, Chester, CT. Camps run Monday through Friday 9 a.m. to 4 p.m. with a performance on Friday. Junior production ‘Madagascar’ open to ages 6-12 years July 24 thru 28. Senior production ‘Legally Blonde’ open to ages 12-18 years July 31 thru August 4. Fish on Friday? 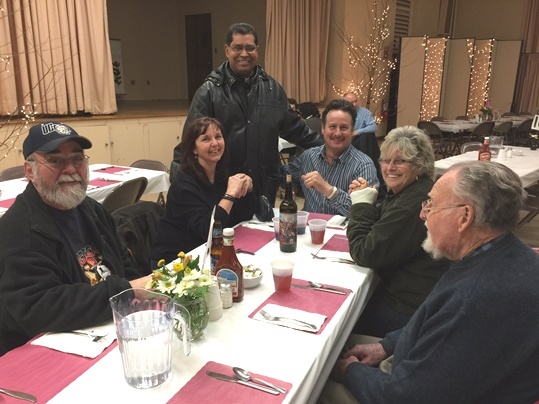 Enjoy it at Saint Joseph’s Weekly Fish Fry! Photo submitted. CHESTER — The fish are swimming again, out of the frypans and onto the plates at St. Joseph Catholic Church in Chester where the Lenten Season will kick off its Fourth Annual Fish Fry on Friday, March 3. This event is expected to be not only a great faith/fundraising event for the church community, but an opportunity to reach out to the community at-large to meet new friends and reacquaint with old friends. Fish & Chips, Clam Chowder and Macaroni & Cheese are also available, not to mention a wide variety of baked goods for dessert. The Fish Fry will continue through April 7 from 4 to 7 p.m. in the parish hall located at 48 Middlesex Ave. (Rte. 154) in Chester. Come see what makes St. Joseph’s a thriving, active, and growing community. 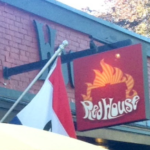 The food is great, the conversation is flowing, the staff enthusiasm is wonderful and you don’t have to cook or clean. We invite you all to visit. After all, it’s a great way to treat yourself to a great dinner! Also available are Lobster Bisque and Claim Chowder Soups ($5) and Mixed Green Dinner Salad ($6). All meals include Bread & Butter, Drinks and Dessert. Meals are also available for Take-Out. 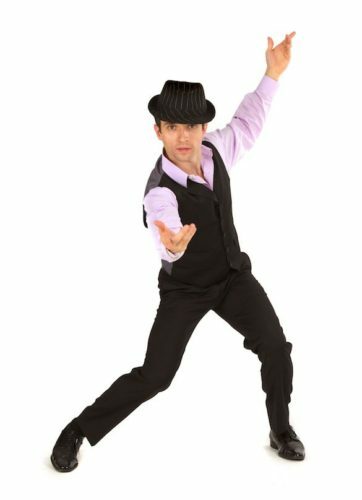 Rick Faugno* plays Frank Sinatra in ‘My Way’ opening at the Ivoryton Playhouse, Mar. 22. Conceived by Todd Olson and David Grapes, this revue, performed by a cast of two men and two women, pays homage to America’s all-time coolest crooner by trotting out a few dozen of the more than 1,300 songs Ol’ Blue Eyes recorded in his unbelievably prolific career. This musical revue recalls the essence of the man through the glorious music he sang – a celebration of Sinatra’s mystique, and his myth, through the music he loved best ­- the American standard. The show is co-directed and choreographed by husband and wife team Rick Faugno and Joyce Chittick. Playhouse audiences will remember their phenomenal performances in the 2014 production of Fingers and Toes. Their brilliant tap routines and heartfelt musical numbers endeared the pair to everyone that saw them. Chittick is currently working on the Broadway musical Beautiful: The Carole King Musical, but she is joining her husband to help direct and choreograph. The production is co-directed by Joyce Chittick and Rick Faugno, musical directed by Andy Hudson, set design by William Russell Stark, lighting design by Christopher Hoyt and costumes by Elizabeth Cippolina. My Way: A Musical Tribute to Frank Sinatra opens at the Ivoryton Playhouse on March 22, and runs through April 9, 2017. Performance times are Wednesday and Sunday matinees at 2 p.m. Evening performances are Wednesday and Thursday at 7:30 p.m., along with Friday and Saturday at 8 p.m.
OLD SAYBROOK — We have just heard that a ‘Sister March’ has been announced in Old Saybrook on Saturday. 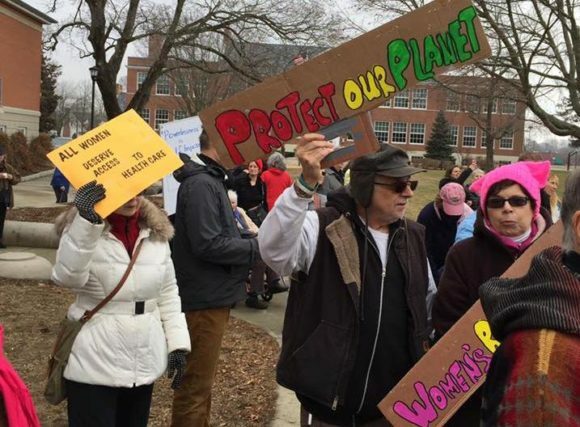 This ‘Demonstration in Support of the Women’s March in D.C.’ starts at 10 a.m. on the Old Saybrook Town Green and runs through 2 p.m.
ESSEX — 2016 marked the centennial anniversary of the Yale School of Architecture. 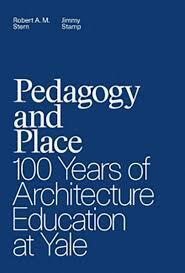 In recognition of this occasion, The Centerbrook Architects Lecture Series will welcome Jimmy Stamp, co-author with former YSOA Dean Robert A.M. Stern of the book Pedagogy and Place: 100 Years of Architecture Education at Yale (Yale Press, 2016). Stamp will trace the development of the School’s pedagogy alongside a critical overview of the succession of buildings designed to house Yale’s architecture program. He will also draw parallels between historic moments in Yale’s history and things that have happened more recently. Stamp is a writer at Robert A. M. Stern Architects whose work has appeared in The Guardian, Smithsonian, and the Journal of Architecture Education. Join this special event on Friday, Jan. 20, at 7 p.m. at Centerbrook Architects 67 Main St. Centerbrook. This program is free and open to the public. Call the library at 860 767-1560 to register or for more information. Centerbrook Architects is located at 67 Main St. in Centerbrook. 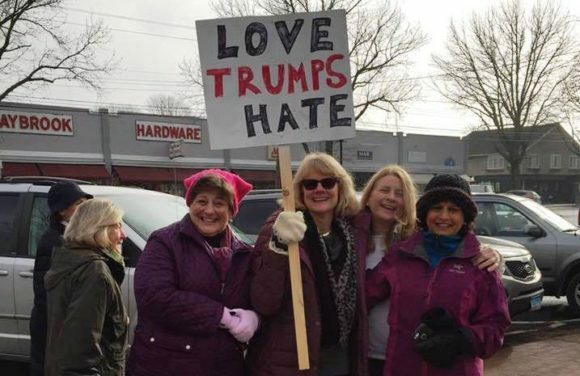 EAST HADDAM — The Women’s March on Washington has inspired over 370 other ‘sister marches’ to take place this coming Saturday, Jan. 21. 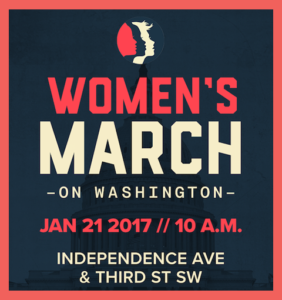 All 50 states and Puerto Rico are confirmed to have at least one grassroots-led march on that day, as well as 55 global cities on six continents, from Tokyo to Sydney, Nairobi to Paris to Bogotá. But if you’ve missed the bus — literally and figuratively — to DC, there is now a local opportunity to participate in a ‘Sister Event.’ Together We Rise – Building Bridges For Justice has just announced that East Haddam/Lower Connecticut River Valley is now registered as an Official Sister Event for Connecticut, along with Hartford, Salisbury and Stamford, for the Women’s March on Washington. 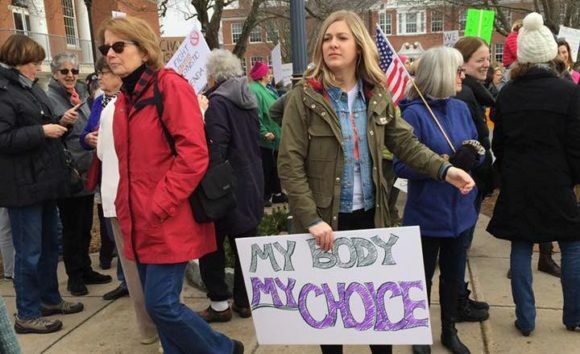 The East Haddam event will be a vigil to be held from 10 to 11 a.m. on Saturday. 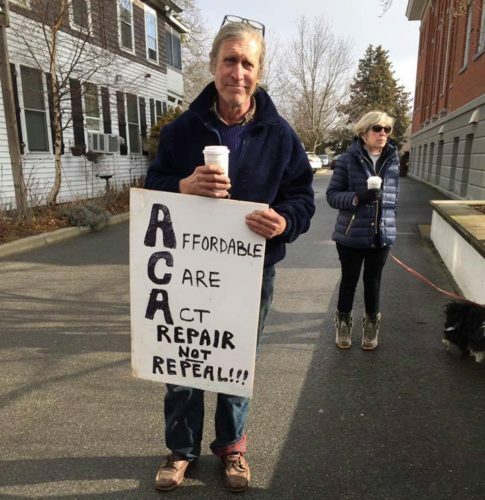 This outdoor vigil will be at Two Wrasslin’ Cats Coffee House & Café, located at 374 Town Street in East Haddam, CT at the junction of Rte. 82 and Rte. 151. A Still We Rise vigil has been ongoing weekly since November 2016 and is attended by a group of dedicated individuals each Saturday. The purpose is to keep social justice issues in the forefront of our community consciousness and to stand in solidarity with marginalized groups. 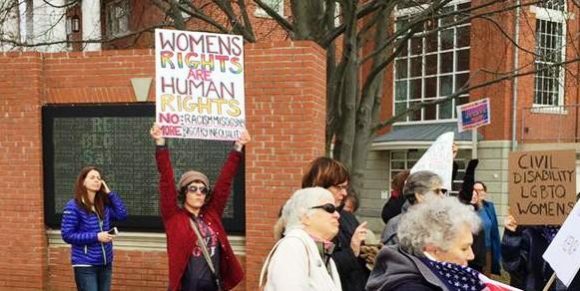 From the suffrage movement to anti-war protests, vigils have a long tradition in our country as an effective form of peaceful protest. 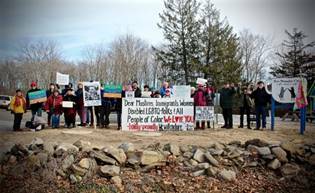 Participants in the weekly vigil stand outside Two Wrasslin’ Cats in East Haddam. 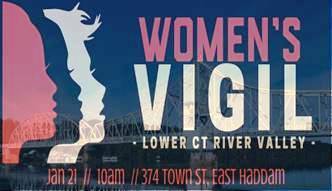 For more information on the East Haddam vigil, visit their Facebook page. More information is available at here, at the Charlestown Citizens Alliance Webpage. Building site for 52 new homes on Plains Rd., just out of downtown Essex. Photo by Jerome Wilson. ESSEX — It has been a long time coming, but the “green light” is finally turned on for the construction of 52 new housing units known as Essex Station. The units, which comprise a three-building apartment complex with an affordable housing component, will be constructed on a 3.7-acre parcel on Plains Rd. 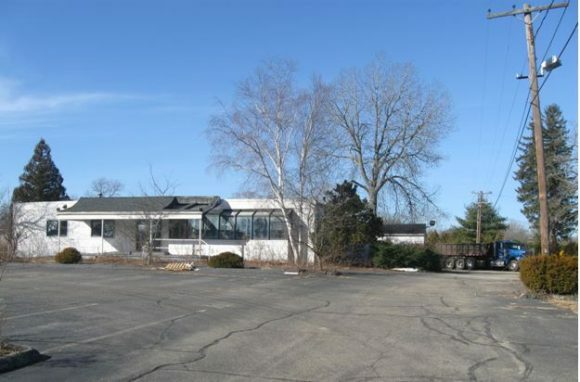 that includes the long-vacant former Iron Chef restaurant property and previously, a movie theater. Heading out of town from the town center of Essex, the new building site is on right hand side of Plains Rd., just past the tracks of the Valley Steam Train. The application from Signature Contracting Group LLC was submitted under state statute 8-30g, a law intended to promote additional affordable housing in Connecticut. It was originally approved by the Essex Zoning Commission on June 20, 2016. The statute limits the jurisdiction of municipal land use commissions to issues of public health and safety, while requiring that at least 30 percent of the dwelling units in a development be designated affordable housing and reserved for people or families with incomes at or less than 80 percent of the median income for the municipality. At least 16 of the Essex Station units will be designated as moderate income housing with monthly rents expected to be about $1,800. Weeks after the zoning commission’s approval of the special permit for the Essex Station apartment complex on June 20, the applicant filed a resubmission that asked the commission to revise or rescind three of the 10 conditions that were part of the panel’s 4-1 vote of approval. One disputed condition related to the requirement for a six-foot security fence around the perimeter of the property. The second related to a requirement for elevators in the three buildings, which was described as, “impractical and unnecessary,” making the floor plans infeasible. The third disputed condition involved the height of the three buildings. The issues related to all three conditions were resolved at a Sept. 19 Essex Zoning Commission meeting and construction by the Signature Contracting Group LLC is now scheduled to begin as early as February. The invention of television comes to life in “The Farnsworth Invention” live at The Kate from Jan. 19 through Jan. 22 – a fast-paced electric play written by Aaron Sorkin; who brought us such great television as “The West Wing”, “The Social Network” and “The Newsroom.” His high energy writing style makes for an enjoyable evening of theatre. It’s 1929. Two ambitious visionaries race against each other to invent a device called “television.” Separated by 2,000 miles, each knows that if he stops working, even for a moment, the other will gain the edge. Who will unlock the key to the greatest innovation of the 20th century: the ruthless media mogul or the self-taught Idaho farm boy? This compelling story moves at lightning speed as two very different groups attempt to transmit a moving picture at the speed of light. The play is packed with every possible emotion – love, deceit, compassion, death, ambition and power – all intertwined as these two industry giants fight for the ultimate prize of being named the father of television! “The Farnsworth Invention” opened on Broadway in 2007 and the Chicago Sun-Times described it as “ a firecracker of a play in a fittingly snap, crackle and pop production … the drama has among its many virtues the ability to make you think at the same time it breaks your heart.” The play has a cast of over 20 people who play over 60 roles which makes for a quick moving storyline from scene to scene. The Saybrook Stage Company is pleased to return once again to The Kate in this quick-paced drama directed by John Pike. 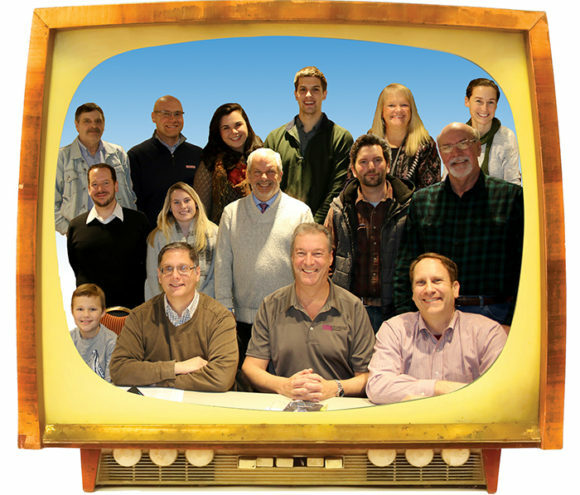 This will be their 13th production at The Kate and will be the largest cast to take the stage to date – the more recent previous plays are Deathtrap, Rumors, The Wayside Motor Inn, Moon Over Buffalo and this past January to a sold-out audience, Noises Off. Visit www.thekate.org or call 877.503.1286 and reserve your tickets. Also, visit www.SaybrookStage.org for more information about Saybrook Stage Company. The Saybrook Stage Company was founded as a non-profit corporation dedicated to providing quality theater on the Connecticut Shoreline at the Katherine Hepburn Cultural Arts Center. Saybrook Stage welcomes actors of all levels and abilities – and anyone who genuinely loves the arts – to come together and share in the experience that only live theater can provide. CHESTER –- Greenskies Renewable Energy LLC has signed an agreement to build a 339 kilowatt (DC) solar array on the roof of The Whelen Engineering Co. Inc.’s main facility in Chester, Conn. The array, which will consist of 1,062 solar photovoltaic panels, will produce 398 megawatt hours (MWh) of electricity annually. It is expected to be completed and operational by October. Greenskies has already begun the design phase of the project. The construction phase is expected to begin this spring. Under terms of the solar installation agreement between the two companies, Greenskies – one of the nation’s leading solar energy providers in the commercial, industrial and municipal segments of the industry – will design, engineer and construct the array on the roof of the 185,000-square-foot main building on Whelen’s Chester campus and then sell the completed array to the engineering firm. Whelen Engineering designs and manufactures audio and visual warning equipment for the automotive, aviation, and mass notification industries worldwide. Founded in 1952, Whelen has become a leading provider of sirens, warning lights, white illumination lighting, and controllers. With facilities in Chester and Charlestown, N.H., Whelen products are designed, manufactured, and assembled in the United States. Greenskies designs, builds and maintains solar photovoltaic systems for commercial and industrial clients, municipalities and government agencies, educational institutions and utilities throughout the United States. Sen. Art Linares (R- 20th) is owner and co-founder of Greenskies according to the company’s website. For more information about Greenskies Renewable Energy LLC, visit www.greenskies.com. ESSEX — David Brower (1912–2000) was a central figure in the modern environmental movement. His leadership, vision, and elegant conception of the wilderness forever changed how we approach nature. Brower transformed the Sierra Club into a national force that challenged and stopped federally sponsored projects that would have dammed the Grand Canyon and destroyed hundreds of millions of acres of our nation’s wilderness. To admirers, he was tireless, passionate, visionary, and unyielding. To opponents and even some supporters, he was contentious and polarizing. 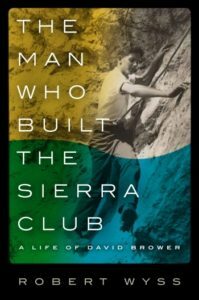 Professor Robert Wyss of the University of Connecticut will talk about his biography of Brower, titled, “The Man Who Built The Sierra Club: A life of David Brower” on Thursday, Jan. 19, at 7 p.m.
As a young man growing up in Berkeley, Calif., Brower proved himself a fearless climber of the Sierra Nevada’s dangerous peaks. After serving in the Tenth Mountain Division during World War II, he became executive director of the Sierra Club. This uncompromising biography explores Brower’s role as steward of the modern environmental movement. His passionate advocacy destroyed lifelong friendships and, at times, threatened his goals. Yet his achievements remain some of the most important triumphs of the conservation movement. What emerges from this unique portrait is a rich and robust profile of a leader who took up the work of John Muir and, along with Rachel Carson, made environmentalism the cause of our time. Wyss is associate professor of journalism at the UConn and a journalist who has written for the New York Times, the Christian Science Monitor, the Boston Globe, Smithsonian, Yankee, and the Providence Journal. He is the author of Covering the Environment: How Journalists Work the Green Beat (2007). This special program is free and open to the public. Call the Essex Library at 860 767-1560 to register or for more information. The Essex Library is located at 33 West Ave. in Essex. WESTBROOK — Computer Management Services (CMS) today announced the addition of a new staff member to the organization’s headquarters in Westbrook, CT. Marianne Chamberlain has assume the role as Practice Manager for Computer Management Services, LLC., with responsibility for overseeing and managing the Sage software practice. Marianne has a strong background in accounting, business management, and technology. Marianne has earned a Bachelor of Science and MBA in Accounting from CCSU and is a CPA and CMA. She also has extensive experience with Sage 100, Sage 300 Construction and Real Estate and QuickBooks. She is currently pursuing certification with Sage Software. Editor’s Note: Computer Management has specialized in serving wholesale distributors, manufacturers, marine and service organizations throughout the northeast for over 30 years. CMS, with over 70 years of practical experience, has provided solid solutions while extending exceptional service to their diverse client base. For more information visitwww.cmsct.com or at 1.800.533.0595. AREAWIDE — Noank Community Support Services, Inc. is leading the local effort in Southeastern Connecticut alongside the second statewide count of unstably housed and homeless youth ages 13-24 from Jan. 25-Jan. 31, 2017 being conducted by the Connecticut Coalition to End Homelessness. The 2017 CT Youth Count will provide information essential to our efforts to advance toward the goal of ending youth homelessness by 2020. Volunteers are needed to support this effort throughout the community. Unaccompanied homeless youth and young adults are a largely hidden population. Some homeless young people are identified during the annual Point-in-Time Count census of homelessness, but many are missed because they do not typically access adult emergency shelters or other homeless services. The Jan. 24, 2017 PIT Count will be followed by a week-long effort to count homeless youth, powered by schools, youth providers, state agencies, faith-based groups, and youth themselves. These partners head the effort to collect the data we need to have a better understanding of homelessness and housing instability among youth in Connecticut. Connecticut’s 2015 Youth Count indicated that some 3,000 young people were experiencing homelessness in the state. The Department of Housing and Urban Development has announced that 2017 will be used as the baseline year for federal data collection on homeless youth. The success of the 2017 CT Youth Count depends on the participation of volunteers. Volunteers for the count can participate according to their availability during the week of January 25th-31st in their communities. Please join participate and volunteer. Together, we can end youth homelessness in Connecticut! To register as a volunteer for the 2017 Youth Count! or Point-in-Time Count, click here or visit http://cceh.org/volunteer-registration-2017/. For the 2015 Youth Count! Report, click here. For questions, contact Sarah Chess at schess@cceh.org. AREAWIDE — The Middlesex County Chamber of Commerce announced that its restaurant week, the second annual Taste of Middlesex County will take place from Monday, Jan. 16 to Sunday, Jan.23. The week will feature restaurants throughout Middlesex County, Connecticut and is sponsored by Comcast Business. The restaurant week is designed to highlight the numerous and diverse dining experiences within the greater Middlesex region. Taste of Middlesex County will feature a fixed price three-course meal for just $20.17, (does not include beverages, tax or gratuity). The three course components include an appetizer, main entrée, and dessert. 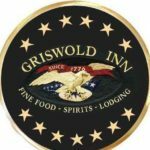 Participating restaurants locally include the Griswold Inn in Essex, Red House in Deep River, and On the Rocks at Fox Hopyard in East Haddam. Additional participating venues include Amici Italian Grill, Eli Cannon’s Tap Room, El Pulpo & Tapas Bar, Esca Restaurant and Wine Bar, First and Last Tavern, Hachi, La Boca, Lan Chi’s Vietnamese Restaurant, Moonlight Sushi Bar & Grill, Tavern at the Armory, and Tuscany Grill in Middletown, Baci Grill, Cromwell Pizza & Pasta and Sheffield’s Restaurant and Lounge at the Radisson Hotel in Cromwell, Angelico’s Lake House Restaurant, Rossini’s Italian Restaurant, The Tavern on 66, and WAVES in East Hampton, and Fire at the Ridge and Ridgeside Tavern in Middlefield, They will offer a specific menu for Taste of Middlesex to highlight their diverse menus. Follow updates on social media by searching the hashtag #TasteOfMiddlesex and by visiting MiddlesexChamber.com for more information. CHESTER — In response to market demand and input from prospective residents, the Chester Village West senior living community has added access to skilled nursing benefits for new residents who join the community in 2017. The 2017 residency agreement at Chester Village West will provide new members of the community access to a full continuum of care, including access to 90 days of skilled nursing benefits per residence at an accredited skilled nursing center of the resident’s choice. The community’s expanded health care benefits compliment its existing services, which include assisted living services that are provided to residents in the privacy, dignity and comfort of their own residences. These on-site services allow couples that may have different care needs to remain together. An on-site personal health care navigator – a registered nurse – serves as residents’ health care referral source, working with residents’ doctors to coordinate the care and support provided by licensed health care staff. Those interested in learning more about Chester Village West’s expanded health care benefits may call Sara Philpott at 860.222.7974 or email philpottsara@lcsnet.com to schedule an appointment. Located in historic Chester, Conn., Chester Village West gives independent-minded seniors a new way to experience retirement and live their lives to the fullest. Since it was founded more than 25 years ago, Chester Village West residents have directed and embraced active learning. Within a small community of private residences that offer convenience, companionship, service and security, Chester Village West enriches lives with a comprehensive program that enhances fitness, nutrition, active life, health and well-being. OLD SAYBROOK: On Thursday, Jan. 25, from 5:30 to 7:30 p.m., the public is welcome to learn about Why Montessori School for Kindergarten and Elementary age students is beneficial to developing independence, self-esteem and problem solving skills. Also, on Jan. 25, from 5:30 to 7:30 p.m., the public is welcome to a “Toileting Talk,” toilet learning workshop. These workshops are free. Dinner and childcare is available for $10 per family. For more information, call 860-388-3536 or visit www.childrenstree.org. On Jan. 27: 9am-12pm., there will be an Open House at The Children’s Tree Montessori School, 96 Essex Road, Old Saybrook. Learn about the Montessori curriculum at our Independent Elementary School, Toddler & Preschool. 860-388-3536, www.childrenstree.org. ESSEX — Tomorrow, Monday, Jan. 16, at 7 p.m., Cappella Cantorum will hold a non-auditioned, late registration/rehearsal for Phantom of the Opera, Les Miserables and a Choral Showcase including: For the Beauty of the Earth-Rutter; Precious Lord, Take My Hand, and Come to the Music, Lift Thine Eyes. (This Choral Showcase has replaced Johann Strauss’ Die Fledermaus.) The event will take place at Trinity Lutheran Church, 109 Main St. Centerbrook, CT 06409. Rehearsals will generally be held at 7:30 p.m. at John Winthrop Middle School in Deep River. Soloists will be chosen from the chorus. The concert will be held on Sunday, March 26, in John Winthrop Middle School. For further information, call Barry at 860-388-2871. DEEP RIVER — The Friends of the Deep River Public Library will present a gallery-style reading with psychic medium Stephanie Burke on Sunday, Jan.21, from 2 to 4 p.m. at the Richard Smith Town Hall Auditorium in Deep River. Tickets for this fundraising event are $40 per person and available for purchase at the Deep River Public Library. Burke was born intuitive and has been able to see, hear, feel and communicate with the other side for as long as she can remember. She now uses her gift to help others understand that death doesn’t mean the end, but rather a new beginning. 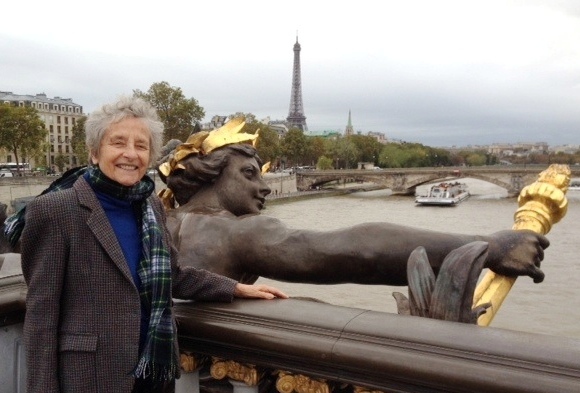 She has had the opportunity to help families, historical societies, corporations and television shows with her gifts. Along with her mediumship, Burke has been practicing Reiki for 10 years, helping others heal and regain balance to their energy. She is also a co-host of WBSM’s Spooky Southcoast Radio and has made appearances on TLC’s Kindred Spirits, Destination America and Syfy channels. Don’t miss out on this enlightening experience! 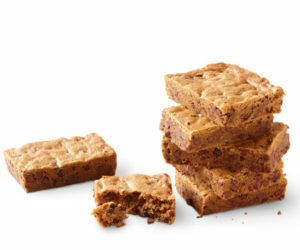 Proceeds from this fundraiser go directly back the library to finance future library programs. For more information, call the Deep River Public Library at 860-526-6039 during service hours: Monday 1 – 8pm; Tuesday 10 am – 6 pm; Wednesday 12:30 – 8 pm; Thursday and Friday 10 am – 6 pm; and Saturday 10 am – 5 pm. These welcoming signs are available for purchase from ‘The Valley Stands Up’ local civic organization. 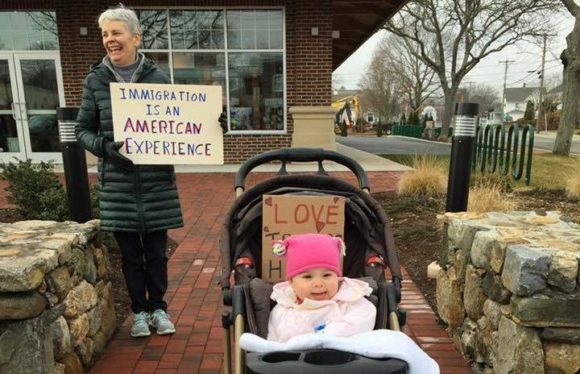 CHESTER — Inspired by a sign created by a Mennonite church in Virginia in the aftermath of the divisive 2016 elections, a local civic group is distributing lawn signs to make it clear that our communities are welcoming and inclusive of all neighbors, regardless of background or origin. 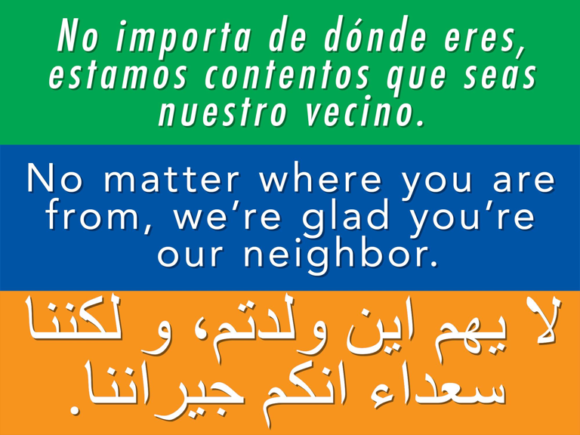 The sign reads, “No matter where you are from, we’re glad you’re our neighbor” in English, Spanish, and Arabic. 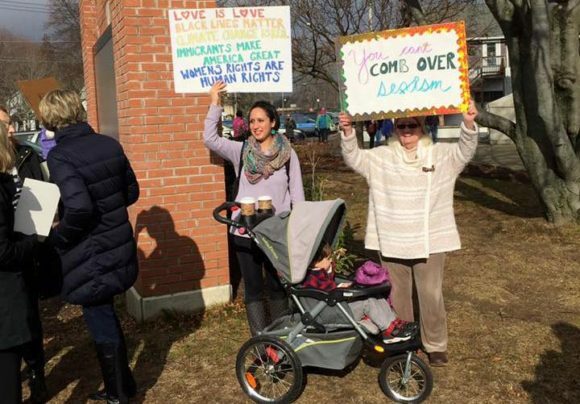 The Valley Stands Up, a group formed by community members across the lower Connecticut River Valley to “support the dignity and human rights of all,” is bringing this affirming message of community inclusion and cohesion to our neighboring towns. Members hope the signs will signal ongoing support for all community members (both longstanding residents and new neighbors) and will affirm a sense of place and belonging for those feeling unwelcome, threatened, or marginalized. Communities across North America, from Pennsylvania to North Carolina, Virginia to Canada, have also adopted the lawn signs. The signs are available for purchase for $10 each at The Valley Stands Up Dr. Martin Luther King Day Celebration, Sunday, Jan. 15, at 4 p.m. at Deep River Congregational Church. While supplies last, they will also be sold at the weekly vigil outside of Two Wrasslin’ Cats Café (Saturdays, 10 to 11 a.m.) in East Haddam, or may be ordered by contacting thevalleystandsup@gmail.com. For more information about The Valley Stands Up, visit the group’s Facebook page or contact thevalleystandsup@gmail.com. AREAWIDE — A new generation of children may soon grow up with both alcohol and psychotropic drugs as adult recreation. If you have an opinion about this, it’s time to get involved. Tri-Town Substance Abuse Prevention Coalition invites local residents to attend two important workshops about marijuana legalization in Connecticut. Learn about marijuana and its impact on youth, health and society, and hear the latest information from states that have already legalized it. The Middlesex County Substance Abuse Action Council (MCSAAC) is hosting a two-part workshop series to provide facts, hear citizens’ concerns and help participants strengthen their political voices. Participants will prepare talking points and persuasive testimony to share with legislators in Hartford. Become knowledgeable and practice talking to others about this critical issue. Save your space in this free workshop by calling MCSAAC at 860-347-5959 or email betsey@mcsaac.org. 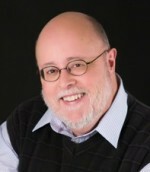 On Tuesday, March 14, at 7 p.m., the Chester Garden Club will host a presentation by author, John Himmelman from Killingworth, Conn., on “Singing Leaves, The Songs & Stories of the Night Singing Insects” at the United Church of Chester, 29 West Main Street, Chester, CT.
For additional information, contact Chester Garden Club Co-President Brenda Johnson at (860) 526-2998. ESSEX — On Saturday, Jan. 14, the Ivoryton Playhouse will be holding auditions for local actors to participate in its First Women Playwrights Initiative. Beginning on Monday, Feb. 27, actors will have the rare opportunity to work with a director and writer on a new play in a workshop setting and on March 3 and 4 perform a staged reading for the public. This is an exciting project and there are a limited number of roles available. Looking for women and men aged 16-80, all ethnicities. Bring a picture and resume and a short monologue. Sides will be available. Auditions will be held at the Ivoryton Playhouse Administrative Offices, 22 Main Street, Centerbrook, CT on Saturday, Jan. 14, from 10 a.m. to 4 p.m.
AREAWIDE — State Senator Art Linares (R-33), and State Representatives Jesse MacLachlan (R-35) and Robert Siegrist (R-36) have called for eligible residents to visit the Be the Match website to see if they can help a local field hockey coach. Longtime Haddam-Killingworth field hockey coach Patsy Kamercia was diagnosed with a rare form of cancer that affects the blood and bone marrow. She needs a bone marrow transplant to treat her Myelodysplastic/Myeloproliferative Neoplasm Unclassifiable Disorder. A bone marrow drive was held for Kamercia at Haddam-Killingworth High School last week, but people can visit Be the Match to get a testing kit sent to their house. All that is required is a cheek swab to test for a DNA match. Be the Match says most donations are taken from the arm, but some may be taken from a donor’s pelvic bone, which involves giving the donor anesthesia. The legislators said they hope a match for Kamercia can be found soon so she can get on the road to recovery. Visit Be the Match for more information about marrow donation and other ways to help. OLD SAYBROOK — The Acton Public Library, 60 Old Boston Post Rd., Old Saybrook, announces its 23rd Annual Poetry Competition. Submissions will be accepted from Jan. 17 through Feb. 21, 2017 at the Library. Poems must be original and unpublished. One poem per letter size page. No more than 40 lines per poem. All poems must have a title. Author’s name, address, and phone number should appear on the back (not submitted to judges), students please add grade level. 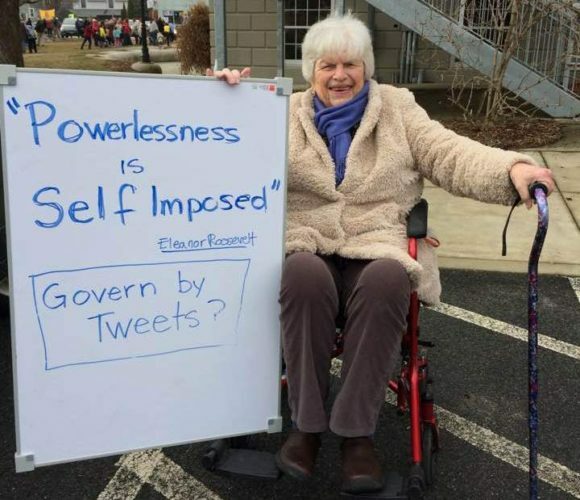 Author must be a resident of Connecticut. Open to all ages First Grade through adult. The divisions are: Grades 1-3, Grades 4-6, Grades 7-8, Grades 9-12, and Adult. Winning poets will read their poems and receive their awards during the Library’s annual Poetry Night, Wednesday April 26, 2017. The public is invited to attend. Following Poetry Night, all entries will be on display in the Library through May. Pick up an entry form at the Library or on our website, www.actonlibrary.org or call for more information. The Library is open Monday through Thursday 10 a.m. to 8 p.m., and Friday and Saturday 10 a.m. to 5 p.m.
ESSEX — The United States has the largest system of ports, waterways, and coastal seas in the world, which includes some 95,000 miles of coastline, 26,000 miles of commercial waterways that serve 361 ports; 3,700 marine terminals (ranging from marinas to mega-ports); and 25,000 miles of inland and coastal waterways. The Coast Guard protects: those on the sea; the United States from threats delivered by sea; and the sea itself. On Saturday, Jan. 14, at 1 p.m., Capt. Greg Wisener will present an illustrated overview of the state of the U.S. Coast Guard including the efforts currently taken and those being developed for future needs to ensure a secure nation, prosperous markets and thriving oceans. 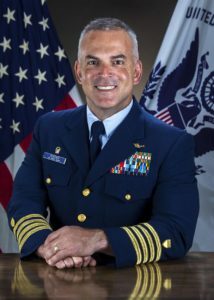 Captain Wisener is a 1991 graduate of the United States Coast Guard Academy and currently serves as the Commanding Officer of the United States Coast Guard Leadership Development Center. He has 13 years of sea service time with afloat assignments that include being Commanding Officer aboard USCGC Forward (WMEC 911) from Portsmouth, Virginia from 2012 to 2014; Executive Officer aboard USCGC Morgenthau (WHEC 722) from Alameda, California from 2010 to 2012; two tours aboard USCG Barque Eagle (WIX 327) from New London, Connecticut as Operations Officer and then as Executive Officer; and two tours aboard USCGC Chase (WHEC 718) from San Pedro, California as Deck Watch Officer and Weapons Department Head. Captain Wisener’s shore assignments include Operations Officer of the Pacific Strike Team Novato, California; Performance Branch Chief and Assistant Training Officer at Training Center Petaluma, California; Personnel Officer at Integrated Support Center San Pedro, California and Coast Guard Liaison Officer at U.S. Navy Training Systems Division, Orlando, Florida. This program is free and open to the public. For more information or to register, please call the Essex Library at (860) 767-1560. The Essex Library is located at 33 West Ave. in Essex. The bush honeysuckle (Lonicera) is a widespread, non-native, invasive plant in Connecticut. ESSEX — Do you know what plants are growing in your yard? Chances are very good that along with your favorite flowers and shrubs, there are non-native invasives on your property. 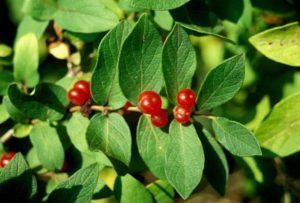 Learn about invasive plant species you’re likely to encounter in and around your home and the lower Connecticut River valley at, “Invasive Species: Identification, Control and Alternatives,” at Essex Library, Wednesday, Jan. 11, at 7 p.m. This event is hosted by the Essex Land Trust. David Gumbart, Director of Land Management for The Nature Conservancy, will discuss the value of native plants and share experiences in identification and control of invasive plants, including several that may be unfamiliar to the general public. Gumbart is also a member of the Connecticut Invasive Plant Working Group. Non-native invasives are aggressive exotic plants introduced intentionally for their ornamental value, or accidentally by hitchhiking with people or products. They thrive in our growing conditions, and with no natural enemies have nothing to check their rapid spread. The environmental costs of invasives are great – they crowd out native vegetation and reduce biological diversity, can change how entire ecosystems function, and pose a threat to endangered species. State Representative Bob Siegrist takes the oath of office at the swearing-in ceremony held in Hartford, Jan 4, 2017. AREAWIDE — State Representative Bob Siegrist (R-36th) was sworn in on Wednesday, Jan. 4, to represent the 36th General Assembly District, which includes the communities of Chester, Deep River, Haddam and Essex. 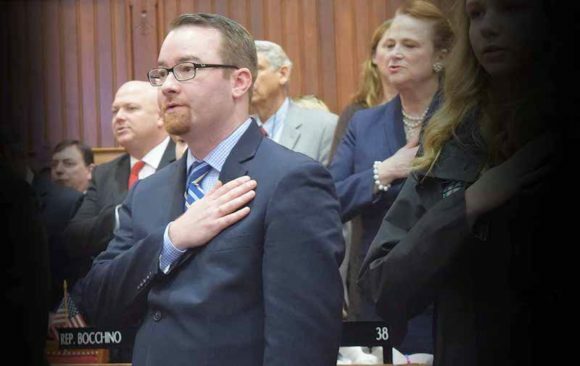 Siegrist states he is committed to reducing the expense of government and wants to ensure that Connecticut responsibly balances its checkbook. “I am grateful to the wonderful people of Chester, Deep River, Essex and Haddam for their support. It is truly an honor to represent the 36th District in Hartford, and I pledge that I will do so with energy, respect and hard work. 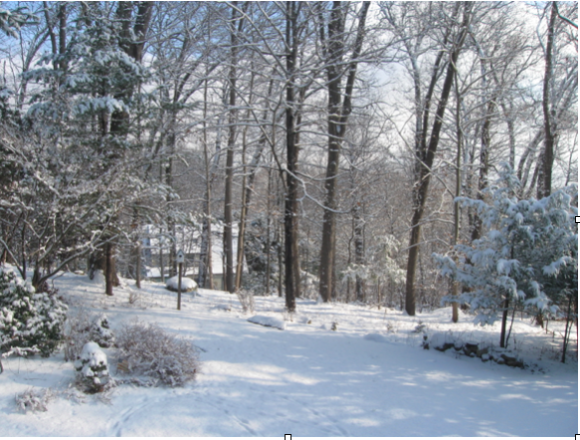 We are blessed to live in such a picturesque community in the lower Connecticut River Valley. 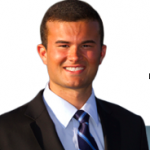 I vow to always keep an open mind and open door for all residents of our beautiful towns,” added Siegrist. Rep. Siegrist took the oath of office and was sworn in by Secretary of State Denise Merrill on Wednesday afternoon in the State House Chamber. He then participated in a Joint Convention of both the House of Representatives and Senate as Gov. Dannel Malloy addressed lawmakers about the 2017 Session. 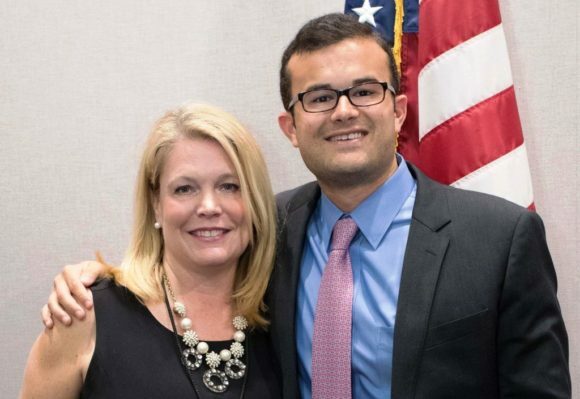 House Republican Leader Themis Klarides appointed Siegrist to serve on the Insurance, Veterans’ Affairs and Public Safety Committees for the 2017 legislative session. A view of the snowfall in Essex taken yesterday, Friday, Jan. 6, 2017 by Jerome Wilson. AREAWIDE — On Friday, Mother Nature gave us a foretaste of her plans for the weekend. A scant couple of inches fell over the Tri-Town area, but sufficient to turn everything white and offer some wonderful winter photography opportunities, as the beautiful photo above demonstrates. 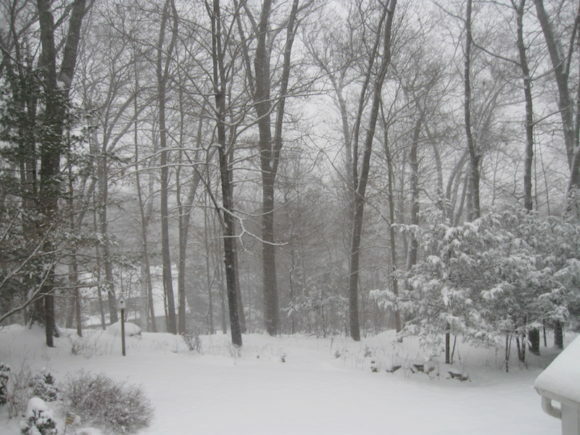 View of today’s snow-covered landscape in Essex. Photo by Jerome Wilson. Yesterday (Saturday, Jan. 7) the weather was a different story. Winter Storm Helena arrived bringing with her steadily falling snow from around 10 a.m. and when she was done, more than eight inches had settled, causing slippery conditions and slow-moving traffic. It is light, fluffy snow so when you step outside to shovel, it should not be too back-breaking … but nevertheless, please take care!